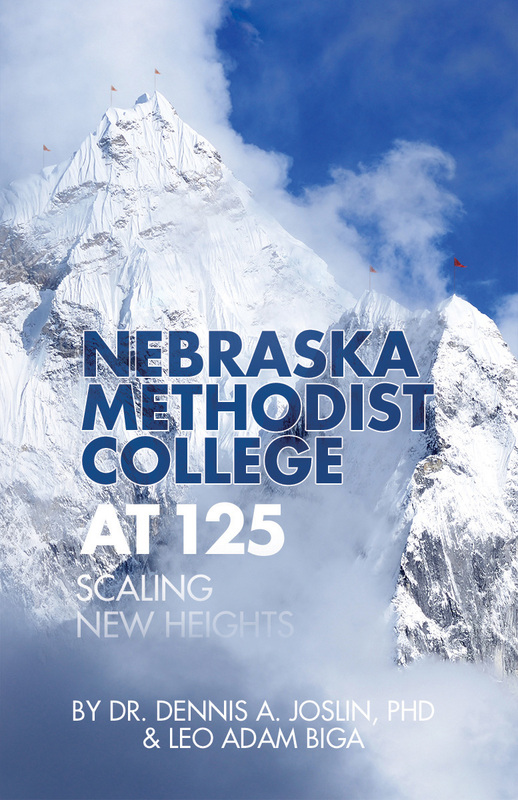 In 2016 a book I co-wrote, “Nebraska Methodist College at 125: Scaling New Heights,” was published. It tells the the history of this highly respected and fast growing private college of nursing and allied heatlh located in Omaha. The book was written by NMC president and CEO Dennis Joslin and myself. We are proud to have told the story of the school’s remarkable ascent in a hardbound volume that we hope appeals not only to NMC alums, faculty, staff and donors but to the wider Methodist and Nebraska healthcare community as well. The NMC story is one of vision, commitment, resiliency, courage amd innovation. Known for most of its history as Nebraska Methodist School of Nursing, the instution established itself early on as a leader in nursing education. From the start, its graduates have been highly sought-after. But as healthcare underwent great changes, schools of nursing conferring diplomas were losing standing and colleges of nursing granting degree were becoming the preferred model. The institution’s crucible test came in the 1980s. Many private nursing schools were closing their doors, either unable or unwilling to transition into colleges. NMC looked past the challenges of small enrollment, less than ideal facilities and the task of going from a school to a college to embark on the first of many ascents. The new heights scaled these past few decades have dramatically grown the student body, added many programs and degrees, built a new campus and positioned NMC as a leader in community engagement. Now, a century and a quarter after its founding, NMC has arrived at an historical peak that affords a grand view of the college’s rich past, dynamic present and promising future. “Nebraska Methodist College at 125” charts the course of this persistent journey in excellence. Just as its partner Nebraska Methodist Hospital delivers the meaning of care, Nebraska Methodist College teaches the meaning of care. NMC graduates practice their nursing and allied health professions near, far amd wide. They are part of a rich legacy of students, facult, staff and alums who have contributed to the college’s success. Their voices and stories comprise a good share of the book.